This is my 1991 Toyota Previa, shown here on April 12, 2003 at the Vienna Metro station. We first bought this car new in late July 1990. I first rode in it with Mom when she gave it a test drive at Bob Clark Toyota in Springdale, Arkansas. We were impressed. A few days later, it was in the driveway, to begin its life as a member of our family. This Thursday, February 9, 2006, its time with us will come to an end. 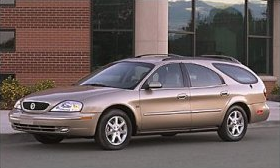 That’s what my new car will look like (this isn’t of my actual car), and let me tell you – it’s sweet. This car has power everything, all-leather interior, a CD player, a remote (complete with panic button), and a whole list of other options I don’t need, but since they’re in there, why not? Still, as excited as I am about getting a new car, I can’t help but become a little bit sentimental about the retirement of the Previa. I mean after all, this car has been with me for more than fifteen years – that’s more than half my life. We first got this car when I was nine years old. I am now 24 years old. And in those fifteen years, it’s become home to a lot of memories. When we first got the car, we noted that nobody recognized us in it. Ms. Austin, my school bus driver in Rogers, didn’t wave at first because she didn’t realize it was us in there. We moved to Virginia from Arkansas in that van in 1992. 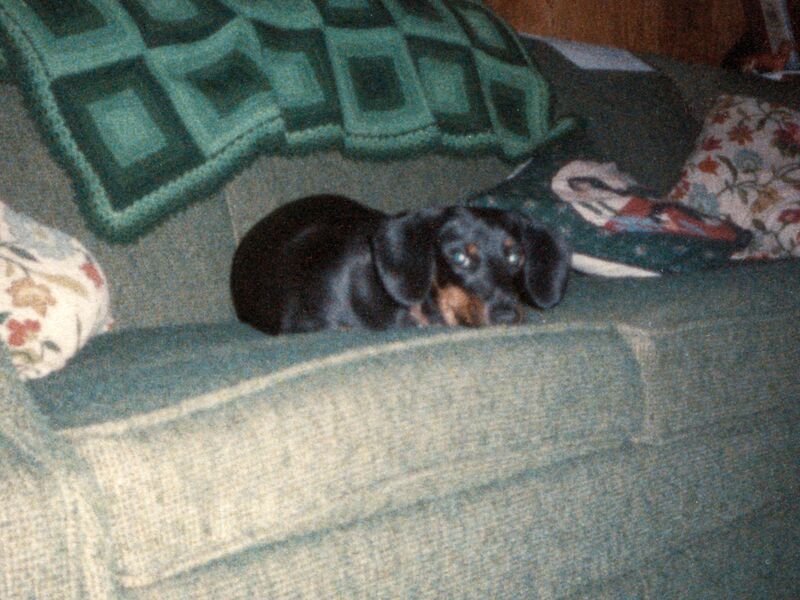 I remember the long drive in the Previa to the veterinary hospital in Blacksburg in 1993 with the first Greta (we had a black dachshund before the Greta that you know, and this first dog was also named Greta) to look at options for treating doggy cataracts. In 1994, we brought Greta home for the first time in that van. Later that year, on our way up to Connecticut for Thanksgiving, we hit a deer on I-81 near Woodstock. That put out a headlight and damaged the radiator, as well as causing a bit of body damage. I remember reading When Did Wild Poodles Roam the Earth? by David Feldman while sitting in the car with Mom and Sis (Dad rode with the tow truck driver) on the back of a flatbed tow truck, returning home, as the car was undriveable after its collision with the deer at interstate speeds. We ended up going to Connecticut the next day in a rented Chevy Astro van. On the way up, we saw the deer that we hit, dead on the side of the road. 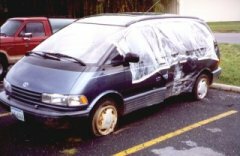 The Previa was quickly repaired, and was back on the road in a month. We installed deer whistles on the front bumper after this incident. In 1996, I got my learner’s permit and first learned how to drive a car in the Previa. Mom was great with that, even as I subjected her to a few rough stops while I was learning. It turned out that despite $5,000 in damage to the car, it was still worth more alive than dead, and the damage was repaired. The car was back on the road on October 1, 1997, less than a month after the accident. The inside of the car smelled like bananas after it emerged from the body shop, which was a byproduct of the various car products used on it during the repairs. I still don’t quite understand how it happened. I must not have been the only person to have an accident there, though, as a project is now underway to move that section of Route 608 onto a straighter alignment. In December 1997, the Previa was replaced as the family car when we got a red 1998 Toyota Sienna. 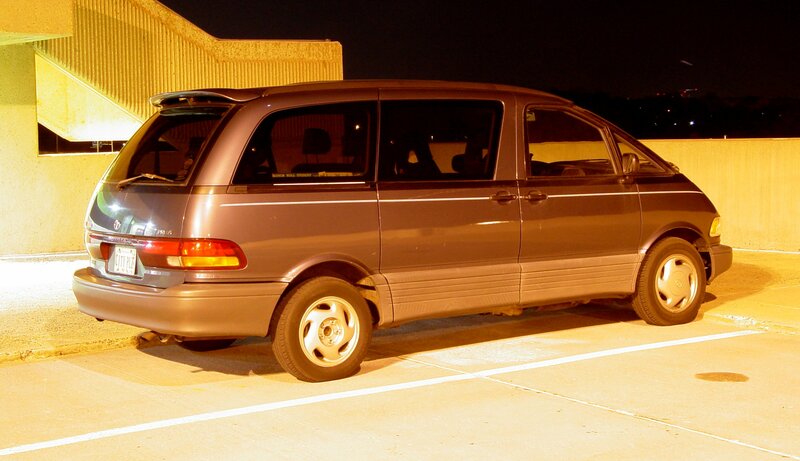 With that change, the Previa became my car, though my parents still owned it. Then in 1998, I got custom plates: “CITY PLZ”. It was based on “City, please?” which was our opening line doing directory assistance. I kept those plates until 2004 – a full two years after our center closed. In April 1999, I had the challenge of figuring out how to drive the Previa one-handed after I dislocated my shoulder in a fall at home, and was stuck with my right arm in a sling for a month. I somehow managed to do it, and am now quite skilled in driving one-handed with either hand as a result. In May of 1999, the Previa was used to carry Heather Leeson, Andrea Fox, Andrea’s date (whose name I can’t recall), and myself to the senior prom on a double date. What a lovely night, too. I picked up Heather and Andrea in Waynesboro, went back to my house in Stuarts Draft, showed off for my parents, went to Andrea’s house and showed off for her parents, went to the South River Grill in Waynesboro (back when it was in its old location on US 250), and then to prom at Mary Baldwin College. My license plate was also featured in my high school yearbook senior year. From 1999-2003, the Previa saw only seasonal use. I was not allowed by my parents to take the Previa to JMU with me (despite my pleas to be allowed to take it), and so I only got to drive it when I was home. That meant some weekends, Thanksgiving break, Christmas break, spring break, and the summer. As a result, the Previa spent a lot of time idle in the driveway at home. 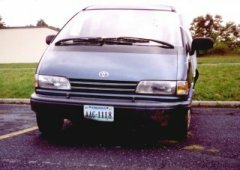 In April of 2003, while I was away at JMU, the Previa was pressed into emergency service as Sis’s regular car to go to and from school, after the Sienna’s transmission blew up on the way down to Virginia Tech for some sort of thing for newly-accepted students. Mom, Dad, and Sis went back home via tow truck after this happened, and Mom and Sis resumed the trip to Virginia Tech using our 1996 Ford Ranger, while Dad stayed home and figured out what to do with the Sienna. I was affected by this change because the Previa was supposed to be in Harrisonburg for a month, so I could start moving stuff out of Potomac Hall and back home. In order to be available for this unexpected use, I had to return the Previa to Stuarts Draft, and shuffle my moving plans around. I ended up getting the Previa back for the last week of classes, after the Sienna was back on the road with a new transmission. 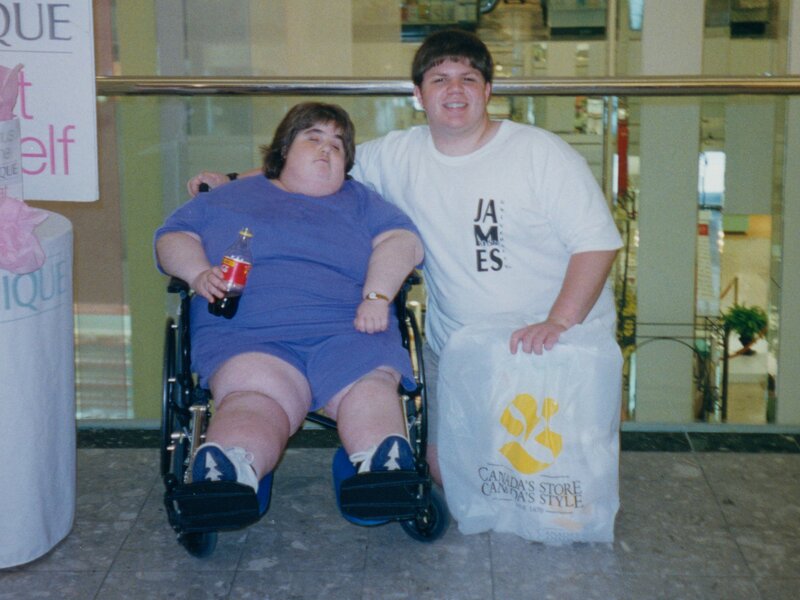 In the summers of 2002 and 2003, as well as the fall of 2003 (my final semester), I was taking classes at JMU and commuting from home. When I was at JMU, the car was basically my “home base”. I kept everything I needed when I was at JMU in the car at all times. During this time, I jokingly referred to the Previa as the “Porta-Dorm”, which was a take on the term “Porta-Potty”. I even wrote about it in my then-new Journal at the time. See? During one of my commutes to JMU, I was involved in a fender-bender on September 4, 2003. The guy behind me accidentally let go of the brake, and hit me square in the rear bumper. It was a minor accident, and I was able to continue on my way after we finished the police report. Then in April 2004, the Previa finally became mine outright. I got rid of the old license plates (one now hangs on my wall), and got new custom plates that have a contraction of “Schumin Web” on them. I had some plans to spruce the car up at that time, but these plans were never implemented. In the summer of 2005, I designed a bumper sticker and put it on a magnet. That magnet went on the back of my car. It said, “My other car is a Breda”. I had it for about a month or two, then lost it when I accidentally left it on and took the car through a car wash. No more magnet. Then in the fall of 2005, I discovered to my dismay that the heat was not working when I attempted to start it up for the first time of the season. Unlike a few other issues that I was willing to defer, heat was a must-have. Needless to say, I got the heat fixed pretty quickly. And now, in 2006, having traveled 275,000 miles, it appears to be the end of the road for the Previa. It’s been around a bit in that time, though, having driven through parts of Arkansas, Missouri, Tennessee, Virginia, North Carolina, Washington DC, West Virginia, Maryland, Pennsylvania, New Jersey, New York state, and Connecticut. It’s traveled on North Carolina ferries between Hatteras Island and Ocracoke Island, riding on the Alpheus W. Drinkwater, the Chicamacomico, and the Frisco. However, before the Previa is retired, it will have one last hurrah. I’m going down to Roanoke this Wednesday to see a friend, and I’d rather do that trip in the Previa, which I know like the back of my hand, than with a new car that I’m not used to yet. I also can tell now that it’s not going to be a simple farewell for the Previa. Today, just talking about all the memories made me a little misty-eyed. If it’s possible to fall in love with a car, I’d say that over the course of so many years, miles, and oil changes, that I’ve grown quite attached to it, and that giving it up will be difficult to do. Song: From Today's Special, where Sam was singing goodbye to his old car, which he called Gertrude: "Gertrude, old girl, my heart's in a whirl, 'cause these goodbyes are hard to come by. We'll try not to cry as we say goodbye..."